Jose Mourinho's defence is causing him headaches as he tries to turn around a woeful start to Manchester United's season against a struggling Newcastle United. United have not been this badly off seven games into a league campaign since 1989 but Saturday's visit of a Newcastle side in the bottom three offers a chance to lift the mood at Old Trafford. Mourinho's team are languishing in 10th spot in the Premier League having conceded 12 goals, a figure they did not hit until December 17 last season. A large part of the problem is the manager's seeming inability to settle on a first-choice defence. He has started with nine different defensive combinations in 10 competitive fixtures across three competitions this season. 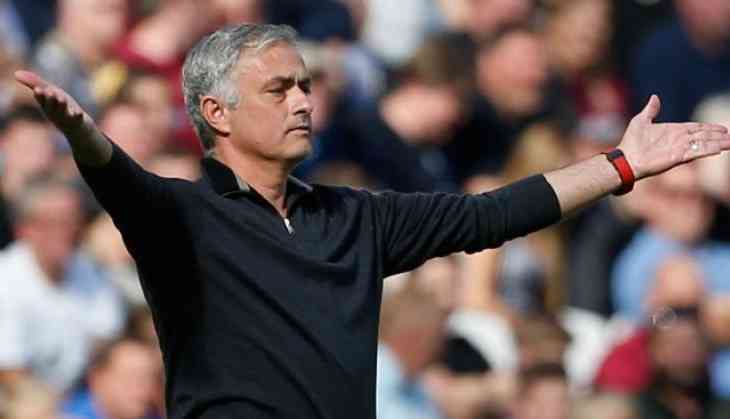 "We don't have the technical quality to build from the back," Mourinho complained this week, although the inability to keep out opponents is also vexing him. Mourinho does not appear to have complete confidence in any of his four senior centre-backs -- Chris Smalling, Phil Jones, Eric Bailly and Victor Lindelof -- despite the fact that the latter two were his signings. The Portuguese manager has come up with some interesting attempts to solve the problem, including leaving Bailly on the bench and drafting in midfielder Scott McTominay as one of three centre-backs against West Ham last week. It is not the first time this season that Mourinho has thrown a selection curveball. Ander Herrera, another midfielder, was used in a three-man back line as Tottenham won 3-0 at Old Trafford in August. There was speculation after the Tottenham defeat that Mourinho's selection might have been a protest against executive vice-chairman Ed Woodward's refusal to sanction the signing of defender Harry Maguire from Leicester. Woodward was apparently reluctant to pay a reported asking price of more than Euro 70 million ($91 million) for the England man. The club were also linked with Tottenham's Toby Alderweireld and Bayern Munich's Jerome Boateng but ended up with no central defensive signings this summer. Their one defensive addition was teenage right-back Diogo Dalot, who was brought in from Porto for 19 million as a long-term acquisition. Dalot impressed on his debut, a 3-0 Champions League win over Swiss club Young Boys but had a tougher time of it a week later as United were knocked out of the League Cup on penalties by Championship side Derby and he is likely to be used sparingly for now. At least United kept a clean sheet on Tuesday as they drew 0-0 at home to Valencia in a turgid Champions League group-stage match, but there was little for the manager to smile about. Rafael Benitez's Newcastle, who have managed only four goals in seven Premier League games, might offer a brief respite, but then come fixtures against Chelsea and Juventus. Solving the defensive problems, whatever the personnel, is now a matter of urgency.